This wonderful home is conveniently located on two lovely lots in Meadowbrook Subdivision. 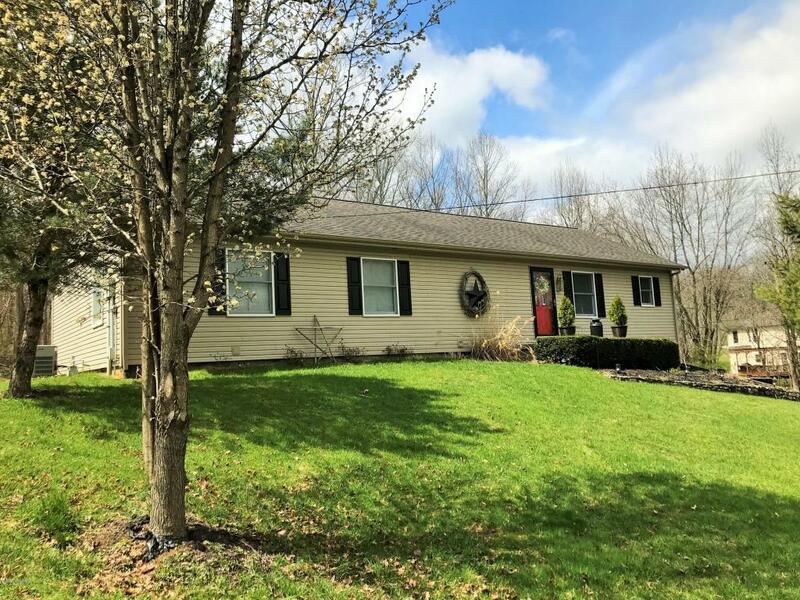 The home has been beautifully maintained and features a large, nicely appointed kitchen & dining area, a spacious living room, 3 bedrooms including a master suite with adjoining master bath and another full bath all on the main floor. The walkout basement, although not listed as finished square footage is not far from meeting that standard and has a finished half bath as well as a separate shower in the basement. There is a laundry room located in the basement and the current owners have a family room set up in the basement as well. This is a wonderful space that has great potential. Outside you will find beautiful landscaping, a huge rear patio and a 14 X 28 cedar building w/ a 6 X 14 covered porch.